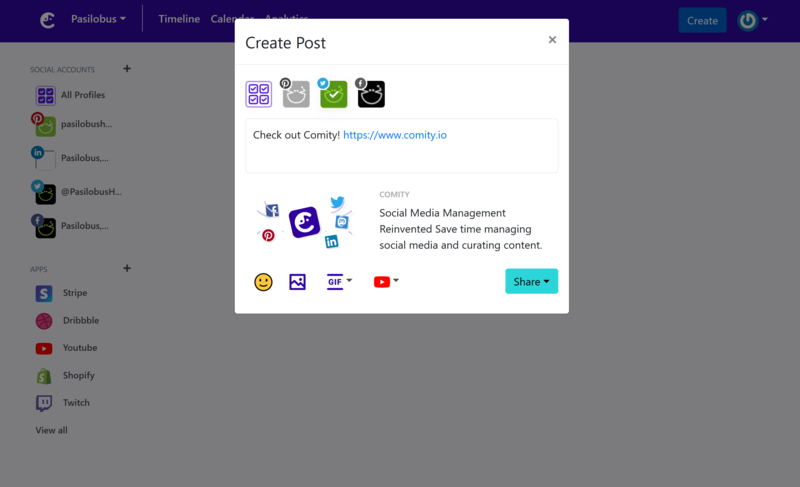 When you include a link to your post, Comity will scrape the link and generate a link preview attached to your post. Link attachments mostly mirror what you would see if you were sharing a link natively to social networks. Comity first checks if the website uses the Opengraph protocol. Otherwise, it will attempt to scrape all images from the web page. Link attachments currently cannot be customized. If the website/link you are sharing does not use open graph protocol, the actual attachment may look different on social networks than the attachment Comity generates for preview.